The Boy of Steel has his first run-in with red kryptonite in this exploration of classic Superman mythology. Clark’s transformation begins after he gets his high-school ring. The memento’s red-kryptonite gem insidiously begins to alter his behavior as his inhibitions melt away. The usually respectful teen starts mouthing off to his parents and friends, and the problems escalate when Clark’s indifference causes him to slam his father against a truck during a scuffle. 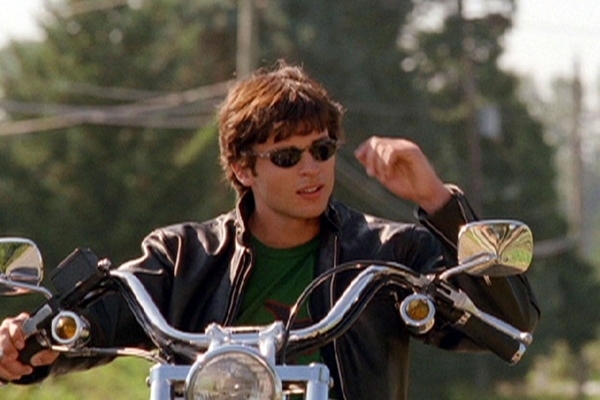 Elsewhere, a new Smallville student is pursued by a murderous U.S. marshal, who has already killed the informant who pointed him in the town’s direction. I love this episode too Can't wait to watch it again! I wouldn't be me without the countdown clock. lex luthor ♥ lana lang | jordan ♥ t.c. $350 dollars? You can forget that. Wow Clark. The Principle listened though. Pete and Lana are definitely shocked by how Clark was acting. Clark standing up to the principal So unlike him!